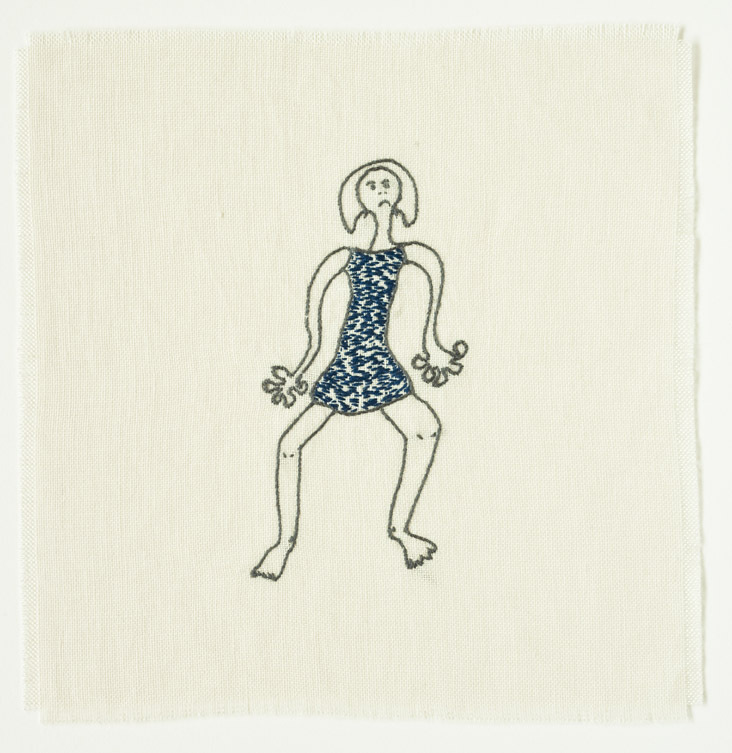 Tracey Clement, 'Sitting Gecko Girl', embroidery on Irish linen, 2010. I haven’t been posting very regularly of late. I know. There I go again, stating the obvious. However, I thought you all deserved an explanation. I’ve been busy getting ready for my own solo show, 1+1=1.